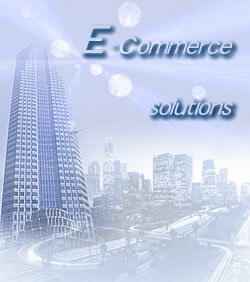 DTI SERVICES now provides hosting solutions, co-location, bandwidth and web page design. We have seen many changes in our 10 year history and these changes have made us stronger. We look forward to facing new challenges brought about by even further changes in the market. Internet users are always looking for fast and uninterrupted connections, whether for business or pleasure. That is why our unique products and services have withstood the upgrades of the Internet and persevered to become one of the leading providers of hosting solutions, co-location, bandwidth and web page design. In this fast paced world of technology it can be hard to stay on top of the ever-changing trends of society. If only there were a company that could get your dreams off the ground so that you can reach the sky faster and more affordably. Our dedicated staff continues to conduct research in the never-ending task of improving on products that speak for themselves. Therefore, why not choose the company that has proven itself time and time again. DTI SERVICES has provided an exceptional service, and stood behind it and the customer to bring this company to the forefront of technological communications. Internet based businesses are always looking for fast and reliable data transfer speed. By providing this, DTI SERVICES has withstood the many changes in the Internet and persevered to become one of the leading providers of hosting solutions, co-location, bandwidth and web page design. In this fast paced world of technology it can be hard to stay on top of the ever-changing trends. DTI SERVICES is here to help you get your dreams off the ground so that you can reach the sky faster and more affordably. Our dedicated staff continually conducts research to improve the products and services we offer. DTI SERVICES has proven itself over time. Why not choose the company that has provided exceptional service, and can stand behind its customers and bring your company to the forefront of technological communications? © 2004 DTI Services, Inc. All Rights Reserved.